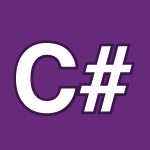 This part of my C# tutorial is all about serialization. With serialization you can store the state of an object in a file stream, pass it to a remote network and more. We’ll store data using BinaryFormatter, XmlSerializer and so much more. If you like videos like this consider donating a $1 on Patreon because it helps a lot.